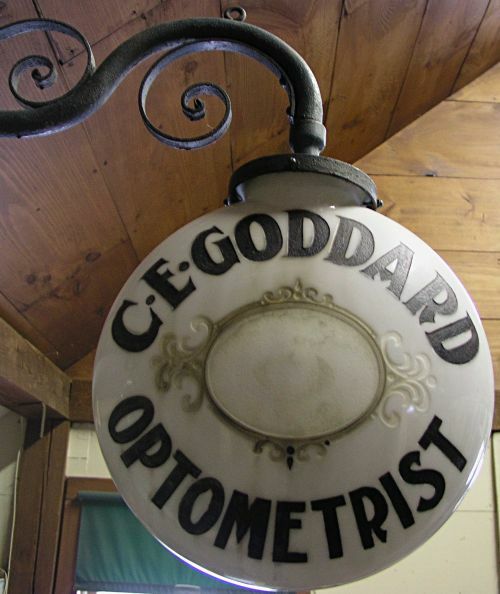 Early 20th Century Optometrist Trade Sign with fancy cast iron painted bracket and milk glass globe. 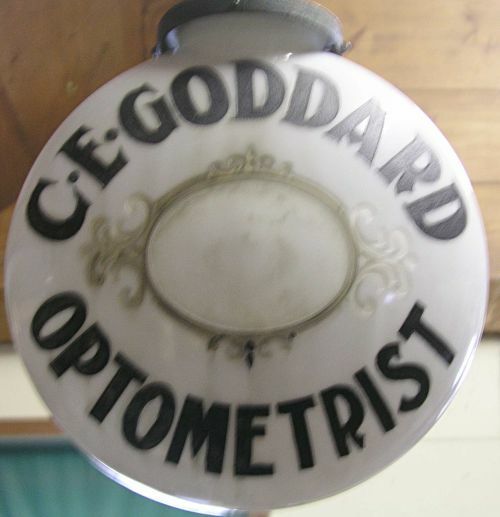 Double sided with embossed decoration and cut letters.Very fancy with Chicago manufacturing Co. name embossed at neck of globe. 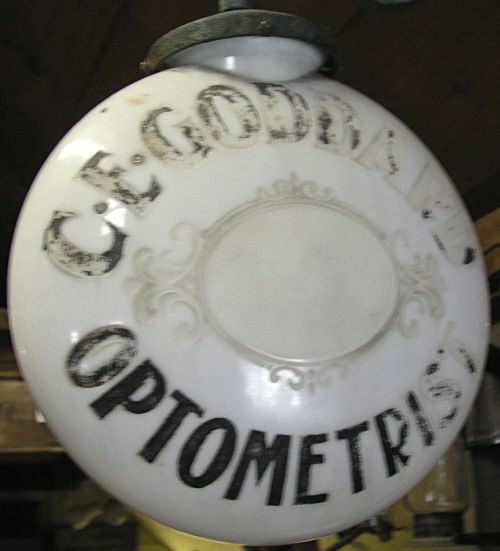 Globe was probably made by one of the same Chicago company`s that made Automotive Gas Globes. 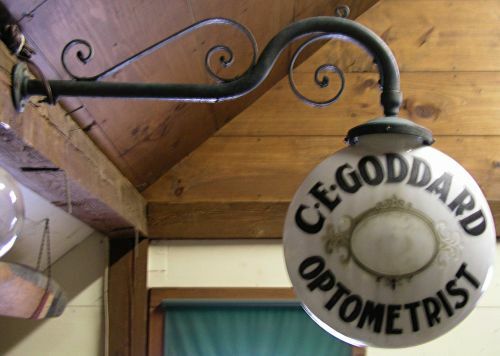 Dimensions: Bracket measures overall 33" long and the globe measures 16" in diameter by 7" wide.